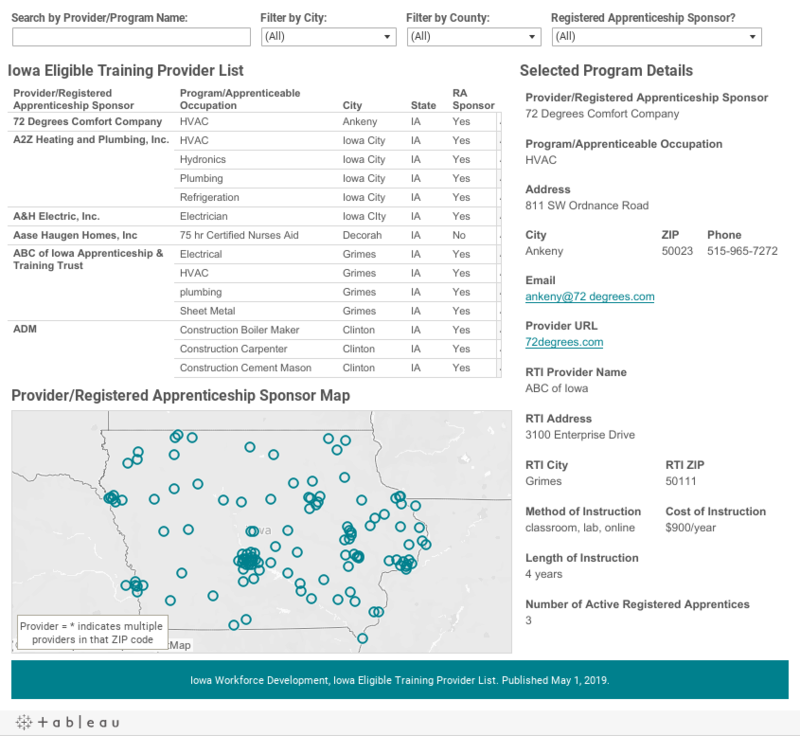 The Local Workforce Development Boards (LWDBs), in partnership with Iowa Workforce Development (IWD), will identify and certify training providers whose performance qualifies them to receive Workforce Innovation and Opportunity Act (WIOA) funds to train Adults and Dislocated Workers. Training providers will be determined to be eligible, initially as well as subsequently, by LWDBs in partnership with IWD. An application for each program must be submitted to the WIOA Partner in the region in which the training provider desires its program to be certified. Each program of training services must be described, including appropriate performance and cost information. The Eligible Training Provider Application should be completed, printed, and returned to the WIOA Partner in the IowaWORKS office in your region. Adobe Reader software, available to you at no cost, is required to open the form. Training institutions may contact the WIOA Partner in your region for further assistance. Use the form below to search for training providers. You can filter the provider list by supplying values in the fields above the list or by clicking on a city on the map.